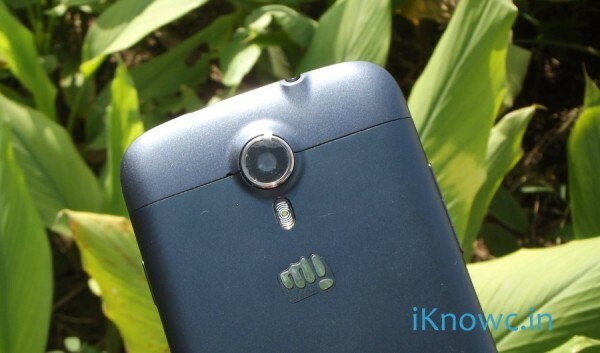 Micromax recently launched two new smartphones the Micromax A117 Canvas Magnus and A250 Turbo. The Micromax Canvas A117 Magnus is the first 1.5GHz quad core smartphone from the company with amazing features at budget. There are many competitors in the market, such as recently launched Zen Amaze Ultrafone 701 FHD. Finally the company has started focusing on the built quality of its handsets. The MMX A-117 look premium, stylish and robust. The built quality is fairly impressive. The handset has round edges and it is slimmer towards the edges. 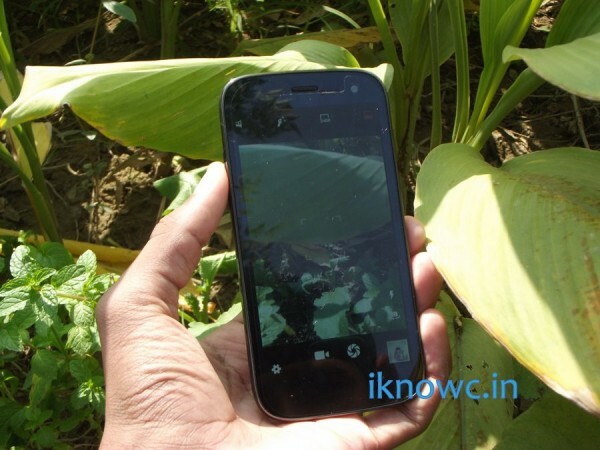 The handset is light in weight, hence you love to hold it in your hand. 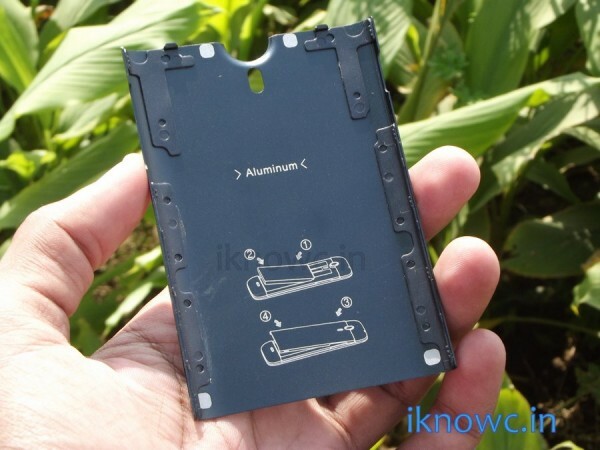 The Micromax Canvas Magnus A 117 is made up of Aluminum, specially the back cover. There is no rattling sound from handset even if you hold it tightly in your palm. The device looks more stylish from the front than the back. Below the 5-inch display there are 3 touch sensitive buttons. Under the hood there is handset, 2000 mAh battery, warranty statement, headsets / earphones, data cable, charger. The smartphone doesn’t come with a free flip cover, so you have to purchase it separately, if available. The MMX Canvas Magnus A117 comes with 5-inch IPS display with 1280 x 720 pixels resolution. The touch is smooth and responsive. The screen is visible almost from all the angles. The display is bright and viewing angle are far better than the Canvas HD. Surprisingly it has 10 point multi-touch Screen. The display is visible outdoor. It has Ambient light, proximity and accelerometer sensor, so nothing special here. Although there is a notification LED. 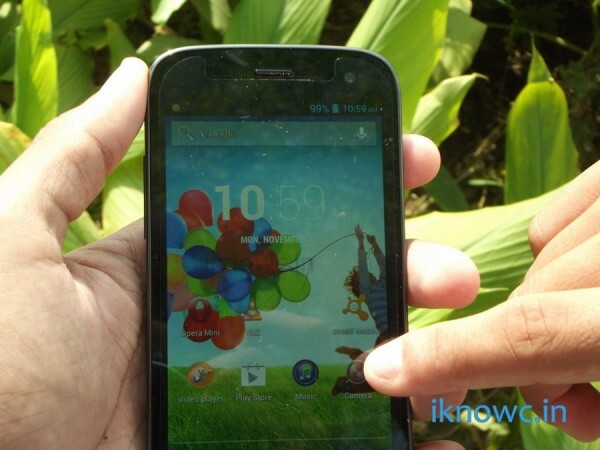 To make the hardware run there is Android 4.2.1 Jelly bean OS with OTA updates. You can also connect pen drive or any other flash storage via OTG cable. The Canvas Magnus A117 comes with 1GB of RAM and 4GB ROM. Out of 1GB RAM 638MB is available. 1.6GB is assigned as internal storage and 0.98GB for installing apps out of 4GB internal memory. For memory expansion there is microSD card slot with which you can expand the memory up to 32GB via micro SD card. The A117 seems to be a upgraded version of Canvas HD A116. The phone is powered by 1.5GHz Mediatek MT6589T quad core CPU integrated with PowerVR SGX 544MP GPU. Well this is not the best GPU available in the market, but it is quite OK for this kind of chip. The handset is responsive and lag free. We performed multi tasks on the device, even then the performance was snappy. The MMX Magnus A-117 heats up when you use WiFi hotspot or when you are using it outdoor. The Internet Browsing on the handset is also smooth and so is the pinch to zoom and Kinetic scrolling (stock browser). You can play High Graphics games without any sort of problem or lag. Check out the Video below for gaming performance. The gaming performance is as good as Gionee Gpad G2’s. The Canvas-Magnus A117 comes with 12-MP shooter accomplished by LED flash and 2MP front camera. The camera quality is good, but images are not very sharp. You can record Full HD 1080p videos at 30fps. The Macro shots are nice and vivid. You can use Flash in Low light conditions. The smartphone supports Full HD playback. The speaker is loud and clear. The device has two microphones with noise cancellation support. Overall the handset will not make you despondent if you are buying this to watch movies and listening audios. The earphones that comes with the device are of average quality. The A117 houses 2000mAh battery, similar to Canvas 4. The battery life is good for moderate usage. The battery can last for 1 day on normal usage. Talking about the connectivity it has Dual SIM card Support, 3G, WiFi, Bluetooth, GPS and micro USB 2.0. Signal on the handset are strong and it will not loose signal even if you hold it in your palm. The A-117 Canvas Magnus is a good phone, specially when its comes under the price tag of RS 14,000. You can easily get the handset for Rs13700 from the market. The hardware built Quality of the handset is really very impressive. It will compete with Gionee Elife E5. BUY IT NOW FROM AMAZON INDIA. Harpal ji, v nyc review..kip it up! Best wishes fo new year & hope ur blog gets more popular day by day. U dint mentiond abt its screen protection...wt typ of glass it has? Dragontrail,etc? Happy New Year Brother.thanks for your wishes. Sameer, company has not mentioned anything about the screen protection. ur welcm bro, yeah ur rite company has mentiond nthng btw, while reviewng dis item wt do u feel abt screen durability? Is dis strng enough or jst a normal screen? helo sir. I am planing to buy a phone of about 15k to 16k. Should i go for gione e5 or magnus?. I want good camera and hd games. Plz help. How about its build quality and longevity?Is this a good choice to buy over samsung? But sir, many users say the camera is very poor. Should i believe it. And also complaints about the volume fluctuation. The fact about the Volume is TRUE, But camera performance in outdoor/ light is good. Gionee Elife E5 has DTS sound which is much better that the A117. Can this mobile able to play high end games like nfs most wanted, asphalt 8 & 7, modern combat 4, NOVA 3 and gta without any Lag. And also how long this mobile will survive if it has been handled with care ? YES, BUT YOU WOULD FEEL MINOR LAG - WHICH BASICALLY DEPENS ON sd CARD SPEED AND TASKS RUNNING IN YOUR BACKGROUND. I own played the GTA Sandreas on the handset , it works pretty well. AND LAST THING,WHAT ABOUT THE AFTER SALES SERVICE OF MICROMAX? I KNOW ITS NOT THAT GOOD, BUT BETTER THAN OTHER INDIAN MANUFACTURERS. which is the suitable sd card and how much wil it cost for 16 gb? how to check that sir. And can all the apps and games be installed on sd card?. I am a heavy gamer and photo maniac. I have seen mc4 didnt work. Anyother games that doesnt work? For how many years this mobile will survive..? sir. built quality is good on magnus or canvas4. for heavy using does magnus last for 12hr? what about doodle 2? in these three device value for money is? for gaming,capturing image, watching video,using net,multitasking which is better? ur kind advise? please help me i want to buy within a week! Hello Derin, It seems that you want to buy Canvas Doodle 2, but it heats up a lot SO BETTER TO AVOID. AND BOTH CANVAS 4 and Canvas Doodle has 1.2Ghz CPU, while the Magnus has 1.5GHz . So in MOST ASPECTS A117 Magnus is still better than all this above. So Go with Magnus it would cost you around 12,000. LET us know If you like our advice. 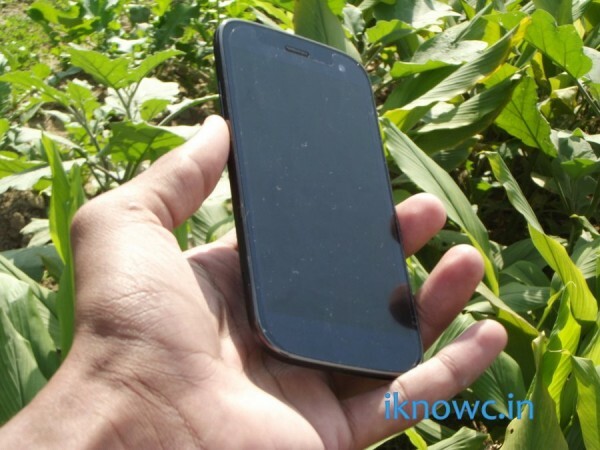 when the galaxy grand 2 will release in india?and what about its price? Yes , battery backup is good. And Also Navigation Works . Padam Sony xperia M has better connectivity options. While the A117 is performance gainer. Sreekar , we don't think there is any difference, although there should be no diff. Thankq but how to know that if there is a difference are not? I think you should raise the same question on Company's official Facebook page and wait if they answer the same, as far as we have not tested the White version so cannot say anything. Hello Guys !!! Planning to buy Canvas Magnus after reading all reviews but before that I would like any user answering the following questions : 1. Heard a lot about heating due to aluminum back, how much the phone will heat if I use it continuously for an hour (in degrees) and also if I use a plastic or silicon case will the heating reduce ? 2. The rear camera is coming out (design), so while keeping the phone in pocket the lens will get those tiny invisible scratches, do they affect the picture quality and if they do then how can I try and reduce its scratches ? 3. I checked out the phone in a mall and I observed that when indoors if my flash is on and I try capturing close objects using autofocus (at a distance of 15-25 cms), the resulting image is over flashed, what is causing this ? 4. Also there was a slight lag during capturing images when indoors, reason ? 5. How Good is the overall camera performance ? how much u would rate the camera out of 10 ? 6. How is the overall battery performance ? I mean if I use whatsapp (4 hours), Music-videos and games (1 hour each) and browsing (3 hours) ,will the battery last one day ? 7. And Lastly heard that there is no magnetic sensors, I know they are used in compass but will they affect any part or performance of the handset in the long run ? I know my questions are a bit out of the box guys but these things matter to me, I would appreciate anyone answering them… ITS URGENT !!! Sahil , you heard right, there is no magnetic sensor I will rate 7 out of 10 for the camera .We have not faced any major issue with the handset like heating ( so cross check for more) . Although removing the back panel is not really that easy task. Read out the full review (Above ) for more details. Sir I appreciate ur reply but u havent answered my questions number wise and in detail, i have seen ur reviews but the problems which i saw isnt covered in ur reviews,kindly request you to pllease answer all my questions in detail and number wise, please sir its urgent !!! Thankz alot Sir for that awesome reply, i was exactly expecting this, i would just like u to focus on my 2nd question once again, i am not talking about real scratches,they are actually tiny abraisions (caused due to contact with jeans pocket as the camera lens is bulgy), i know there is no way i can stop that happening but my question is will that tiny abraisions (not real scratches) affect my picture quality ? Yes, but not majorly , camera quality basically depends on type of image sensor, resolution and lens. So tiny scratches may effect picture quality, but not in big amount. hi, HARPAL SINGH please suggest me which mobile between these two A117 or Gionee Dream D1 I want the following this in my mobile 1. Solid build quality 2. No Lag - Very Fast and smooth response 3. Good display quality 4. Which mobile will open dailers - aps - call logs at very fast??? I wont play much games - i will just use aps like watsup wechat facebook gmail - I will make many phone calls. Which is the better mobile phone to buy because both are at nearly same price. BUILT QUALITY IS BIT BETTER ON GIONEE DREAD D1 AND SO IS THE DISPLAY, WHICH IS SUPER AMOLED. PERFORMANCE IS BETTER ON CANVAS MAGNUS. OVERALL BOTH ARE GOOD. HOPE THIS MAY HELP YOU. FOR MORE CHECK OUT OUR UNBOXING AND REVIEW ON GIONEE DREAM D1. Gionee Gpad G2 is better than the A77 Juice, from every side. The Gpad G2 is bit heavier than the A77. can u pls tell us more on magnetic sensors and why is it essential if we r using flip cover? what color options r available in canvas magnus? Brother magnetic senor is mainly and usually useful when you have flip cover installed on the phone. If you have seen some old phones that may be FLIP or sliding one, when you slide those phone they usually get unlocked automatically. THE SAME GOES HERE when your phone have magnetic sensor and also flip card must have magnetic effect to break and complete the circuit of Magnetic senor. In a result of this when you open the Flip cover your screen automatically get awake. I think it comes in only one color, the same that we reviewed. is the android version upgradeable in canvas magnus? yes, it can be upgradeable but totally depends on the company. Aman it totally depends on you, but yes, the White and Blue colors looks attractive. Brother the camera is not better than Canvas 4, we didn't feel any lag and so is the heating.The images from the camera are not sharp. But Sorry we have not checked the GPS. Hope this helps you. sir my canvas magnus having some fluctuation in sound while playing songs what should i do ? hello sir, i intend to buy magnus but bit baffled because of company name.will this brand or product is worth buying in terms of durability.my essential requirement are enlisted hereunder: 1 crazy for games viz asphalt 7,Nova n like incidental others 2 cautious abt processing speed like if at 1 time i dwnload 2 or 3 will it respond positivly 3 MY budget is 14k u can suggest me any other idol phone which fulfils my above requirmnt especialy games. your rply is highly appreciated.m anxiously awaiting 4rply. YES , AT THIS PRICE ITS A GOOD DEAL , OR YOU CAN GO WITH INTEX AQUA OCTA FOR BETTER GAMING EXPIRENCE. IF YOU SPEND BIT MORE YOU CAN ALSO PURCHASE THE Huawei Ascend G700 WHICH HAS 2GB RAM, BUT 1.2ghz cpU. I don't have the phone right now , so brother i am unable to test these games. Please cross check on other sources. Hai i am planning to buy nokia lumia 925.is windows platform is best when compare to android.i dont need more apps.kindly give brief info about the differences between these two os platforms. BROTHER ANDROID IS OPEN SOURCE AND IT IS EASY TO USE , HAS USER FRIENDLY UI. wHILE the Windows OS is License based and it is much stable, but the UI is bit different then the Android. Nokia Lumia 925 is great buy. go for it . which one is better canvas magnus or xolo q1010? Which one is more value for money? Please suggest. BROTHER IT IS CAPABLE OF 1080P VIDEO PLAYBACK AND RECORDING. PLEASE READ THE ABOVE REVIEW FOR CAMERA CLARITY AND CHECK OUT SAMPLE IMAGES. Aman we checked that out , but i lacks smart pause feature Sorry for the wrong info IT HAS SMART PAUSE FEATURES. Hello Rohit, Samsung galaxy Grand is better in terms of durability and gaming. how is the call quality of this phone, is it good or bad...?? Hello Venkat, You can't connect the 3G dongle to A117. But in the it is only mentione 'you can use flash in low light' . What i wanted to ask is the quality of flash is it able to compete with flashes as seen in samsung devices. And your final advice whether i can go for it or not considering other phones in 14k range. IT is available under 11K from amazon.in , which makes it a great deal. Flash is good and batter than others at this price TAG. TIP : Zen Ultra Fone 701 HD is Priced under 8K on Flipkart. In moto g,no headphone and usb cable in the phone box. yes, you can play - because game data can be installed on SD card. According to you how many years will the xperia sp or c would last for? Try to format your SD card in FAT32 Format and re insert, its best solution. The same happened with me in 2012 when i was developing an update ROM for my phone. Hello sir ,which memory card can work better on magnus to record 1080p videos,please review camera or post some low light pictures taken by magnus because many people are saying that camera is not working good in low light.Does HD games work well on this phone ? Thank you sir. IT CAN PLAY HD GAMES AND CAMERA IS GOOD IN OUTDOOR , ALTHOUGH YOU CAN USE FLASH IN LOW LIGHT. I AM UNABLE TO PROVIDE THE NIGHT IMAGE SAMPLES, AS WE DONT HAVE THE PHONE RIGHT NOW.use CLASS 10 MEMORY CARD FOR BEST RESULTS. Brother it totally depends on you. How ever if you ask me , then i will buy blue or black. The White colors need more look after and care. && BEST TO LUCK + CONGRATULATIONS. sir, samsung galaxy s duos 2 or micromax canvas magnus .which camera quality is better both of them.please help me. A117 is better, not just because of more resolution but there are many other factors as well. 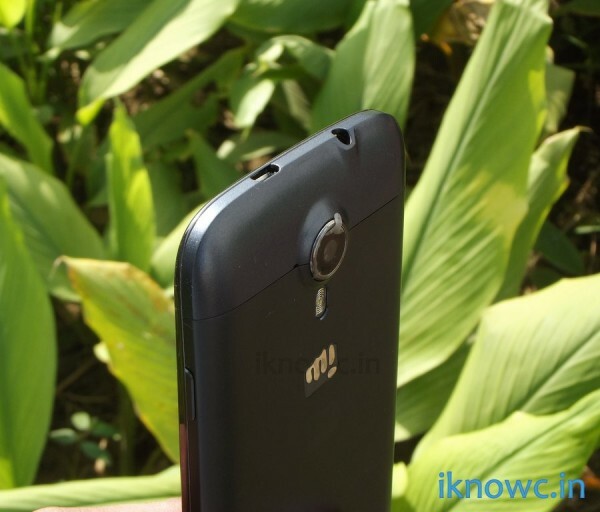 TIPS :: Do you know A117 is available of RS 11,500 on Amazon.in. Cross heck for the lowest price. Sir thanks for your suggestion, can you tell me that sony xperia sp and c comes with non removable batteries. i have heard that these phones don't last longer as compared to removable battery phones. from your experience how long does these non removable battery phones would last for? as i am willing to buy xperia sp. or else please suggest me good durability phones which will last for about 4+ years. Xperia SP is good but if you often insert /remove your sim card then its not the best choice. Other wise good handset. Hello sir i just wanna ask how is the camera quality in low light conditions and battery backup my alternative is galaxy grand but i heard grand hangs a lot and high end game doesn' t work well on grand is that true? Plz... Sir reply immidiately. Galaxy Grand has good quilt quality, but specs are better on Magnus. Low light performance of the camera is not that great but gaming is smooth. i have two options to go, magnus or gionne e3, which one i should buy....would be grateful for the suggestion....u can suggest me any other phone if you think i can get better. Gionee Elife E5 has better built quality, with Super Amoled HD display. FROM E3 and Magnus A117, we will suggest Canvas Magnus A117. IT MEANS FOR NORMAL USAGE. Sir my budget is 14k.. Which handset should i go for? Magnus? Gionee E3, or any other set? thanks for your time, u cleared my confusion. if you are asking for video pinning, then no, it doesn't support that. You can install several browser from play store, and you can use them simultaneously. But sir the last thing i wanna know is whether this handset would be good for a long run as I change my phones after after many years also whether the screen has any protection if not what can i do to protect it from damage as in situation it fell from my hand on ground will the screen is strong enough to bear it. Samit Class 6 is better than the Class 4. ,, but if you want to buy a better one then you can go for class 10 which is perfect for gaming and recording HD videos. Sir, i want to know that how much does this Micromax Smartphones would last for i want good durability phones like samsung and sony offers and how much a non removable battery phone would last even if i handle it with care? Arjun, Built quality of Gionee handsets is much better than Micromax devices. If you will A117 with care the handset can last for at least 2 years. The built of A117 is robust. If you want to buy Sony handsets then go for Xperia C.
A117 Magnus is better than the other twos. TIP : AS RIGHT NOW MAGNUS IS PRICED AT RS 11,000 from amazon.in. If you want to spend about RS16,000 then go for recently launched Karbon OCTANE PLUS. Tell us if you like our suggestion. In our test, we found nothing like this. But cross check on other sources. Sorry for that sir i did it bcoz my comment was not shown and thanks for the advice . I dont think Micromax will give update, you should ask them on there Facebook page. 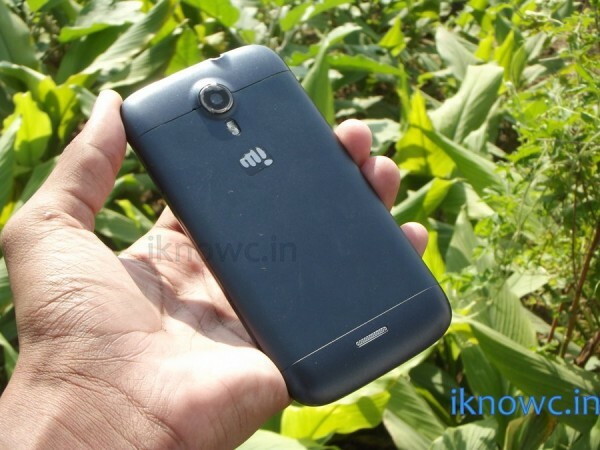 hello sir i m luking to buy the canvas magnus bt it has about 1 gb memory available for apps. Would that be enough for playing high end games like nfs, asphalt7, maxpayne etc.? I lyk to play games so i wanted to know that is this low memory going to be an issue? ANSHUL , THE GAMES LIKE ASPHALT 7 AND OTHER GAMES CAN BE PLAYED WITHOUT ANY SORT OF PROBLEM. because only 50MB of memory is required for installing game.apk. other game data will be downloadable to microSD card which would be about 1GB or more in some games. So the heavy game data will be installed on microSD card. So overall there is no issue with the 1GB in built memory with the handset. Sir, as there is no magnetic sensor, will the Digital compass application work on this phone ? Magnus if performance and smoothness, for durability go for Sony. hello sir, i just wanted to ask about the longevity of this phone and the sound fluctuation about which others are talking about is true? Is it major problem or just a minor thing? But please tell me about the longevity of this phone. Should I go for grand neo? Thanks! Yes, you can go for Grand Neo as it has better Sales and Support. Hello sir, i m confused between mmx A114 & A117 that which is more better in terms of performance & quality, also suggst me some online store to order it. Specs are better on A117 , now it totally depends on you bro which one to go with. Choose which fits best to your needs and budget. sir i have heard about the problem of volume fluctuations. What does fluctuation exactly mean ? And how will it affects a117 's performance.....? Sir you are providing wrong information.... it supports smart pause feature.. to use it you have to open inbuilt video player... and there is a smiley face on left up corner on the screen just push it to enable it. THANKS FOR Correcting us. post is updates now. NOT Possible. BUT You you can try ti connect it via OTG cable. Its useless phone(a117).So many problems in it.Poor camera quality,low battery performance,music volume fluctuation,worst services center,lagging,less internal space for apps and now my phone 3 touch buttons not working and its 7 month old only and recently I repaired it also.Its worst company. i want to buy a Android under 7000 mrp price.i had heard that the Micromax canvas xpress a99 is very good but there are heating issue while playing game and broswing. so i have a doubt that i would go for this phone but i would like this phone.so i just want buy it. 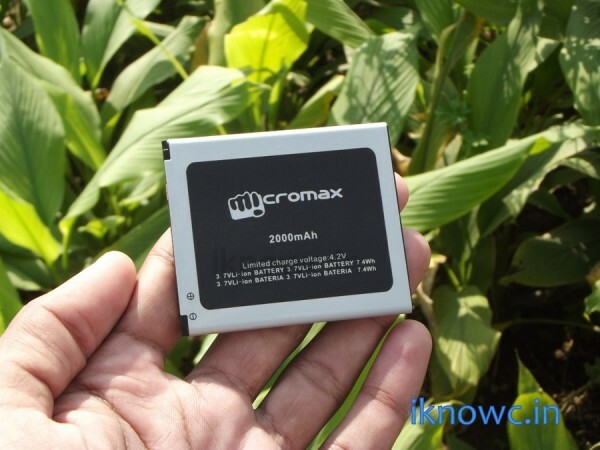 so is there any solution to prevent the heating issue of Micromax canvas xpress a99. please suggest.